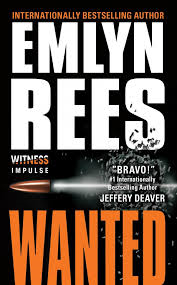 Wanted by Emlyn Rees is a 2014 Witness Impulse publication. I was provided a copy of this book in exchange for an honest review. Emlyn Rees really knows how to write a good thriller. An action packed plot with all manner of cold blooded bad guys keeps Danny Shanklin in world of hurt and fear for his family. Imagine you were framed and now sought after by several international groups, your life and the life your daughter, who is all you have left in the world, are at stake, and the world is about to be exposed to a horrific hybrid small pox virus by a terrorist group and for kick and giggles the serial killer that took the life your wife and son is beyond a doubt alive and well and still very interested in Danny and Lexie. With this many threads going at one time a story can become “ too busy”. But, in this case everything comes together nicely because the author keeps the spotlight on Danny and the events unfold in real time. The germ warfare plot is one that always makes me nervous. I am terrified of this becoming a reality, because in truth, some people will do anything for money and terrorist are more than willing to pay. This thought alone could keep you up at night. But, imagine trying to prevent an outbreak of small pox while being hunted for a crime you didn't commit and your face is all over the television to boot and your worst enemy in the world gets thrown into the mix as well as your teenage daughter and her angst . This makes for a taut, no holds barred suspense thriller that grabs you from the first page with the reminder what Danny has already lost then moves quickly into the present day nightmare he is in living in. The story is genius and plays upon our worst nightmares. It's very tense, so read this one when you can give it your full attention, because you don' want to miss any part of it. 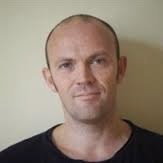 EMLYN REES is a fiction and non-fiction author, editor and director of the Dark & Stormy Crime Film, TV & Book Festival. Emlyn’s race-against-the-clock thriller, Hunted, was published in 2012 by Constable & Robinson in the UK and HarperCollins in the US. Hunted is optioned and in in development with Biting Point films, scripted and being directed by Eric Styles. The sequel, Wanted, is out in 2014. Emlyn lives in Brighton with his wife Joanna Rees, who also writes under the name Josie Lloyd. We’re Going on a Bar Hunt, a parody, written by Emlyn and Josie, and illustrated by the brilliant Gillian Johnson, was published by Constable books in 2013. His children’s fiction is represented by Penny Holroyde @ The Caroline Sheldon Agency. You can find out lots more about Emlyn on Tumblr, talk tunes with him at thisismyjam and contact him also on Twitter @EmlynReesWriter.